The start for dinner at reindeer farm will be with guide by car. The driving time is approx. 15 minutes. Arriving to reindeer farm in Joikun Kota and Sámi hosts wishes the clients welcome. 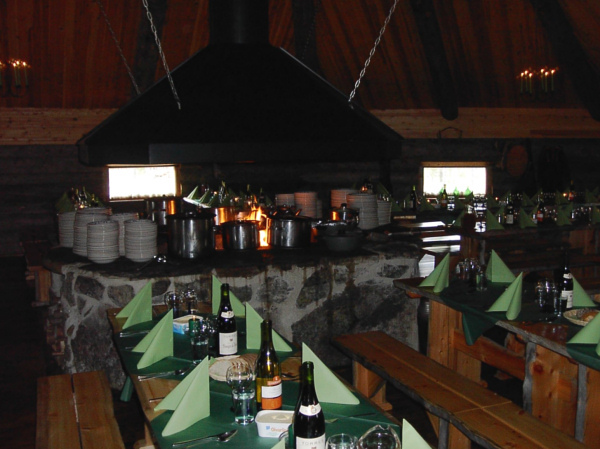 Before dining, you can go to meet the reindeer and also feed them some lichen. 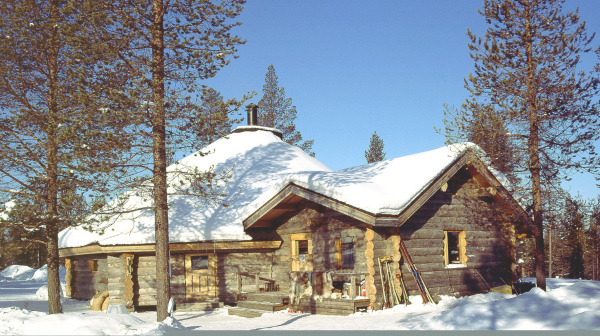 We enter to a Lappish wooden log hut -"kota". 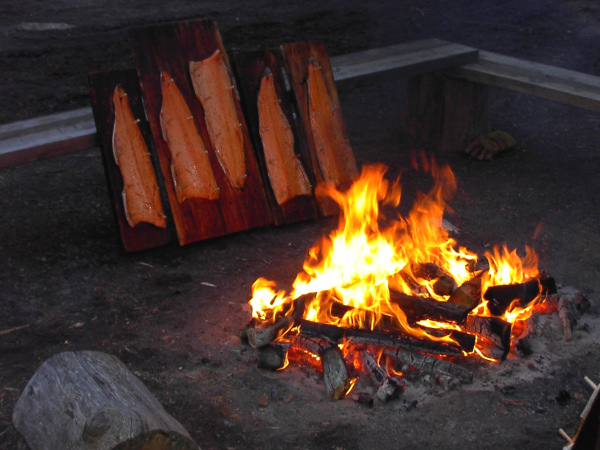 Dinner is served by open fire and candles. Sámi host will tell about Sámi culture and reindeer herding - you also can ask questions if you have something on your mind. The Sámi hostess will sing traditional Sámi songs, "joiku". At the reindeer farm you realise that it is easy to relax and not to be in a hurry. Relax and enjoy the moment. How peaceful and quiet the surrounding nature can be! • -50% child 4-11 yrs.